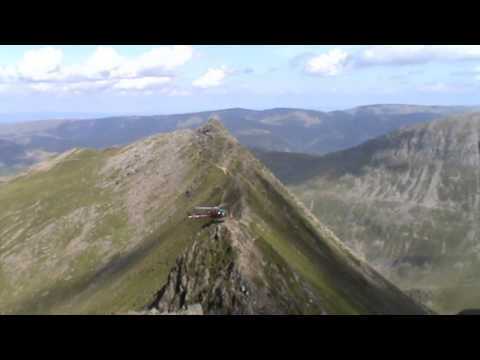 Striding Edge begins at Hole-in-the-Wall and then stretches for over 1.5 km linking the summit ridge of Birkhouse Moor to the summit of Helvellyn and involves some steep scrambling and 80 meters of rough rocky terrain. It is a notorious accident black spot among hikers and scramblers. Swirral Edge beginning at Red Tarn is a shorter route which also involves scrambling and is also another accident black spot amongst hikers and scramblers making it just as dangerous as Striding Edge.